The new laptop comes equipped with a 15.6-inch Full HD display and 4GB RAM +16GB of Intel Optane memory. Asus has launched its new VivoBook 15 X510 laptop that comes equipped with 16GB Intel Optane memory. It is the company's first laptop to come equipped with Optane and it also features 4GB RAM with 1TB of internal storage. The laptop is powered by the Intel Core i5 processor and features a 15.6-inch Full HD laptop. Tech giant ASUS announced the perfect combination of beauty and performance with its latest Intel Optane Memory equipped VivoBook X510 in India. 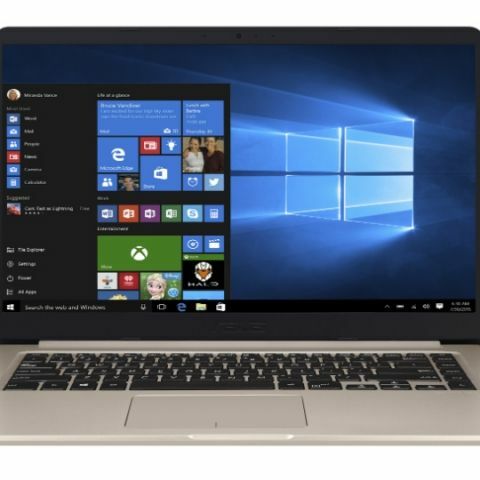 A Windows 10 laptop that is powered by the latest Generation Intel Core i5 processor, VivoBook X510 features 4GB RAM +16GB intel optane total 20GB system memory and NVIDIA GeForce MX130 graphics. Ideal for daily computing and entertainment, ASUS VivoBook X510 flaunts large capacity of HDD with 1 TB storage. Taking performance to the next level, it offers one-touch access via the fingerprint sensor. Enjoy a faster, smoother, and amazingly responsive computing experience with Intel Optane memory, a smart, adaptable system accelerator enhancing the speed of multi tasking with smoother and seamless load levels thus leading to better hard disk performance. It provides the best of both worlds with affordable performance leading to task acceleration. Its priced at Rs.45,990 only.Click here to buy. how much is expandable RAM memory in HP Notebook 15 ac168tu ?